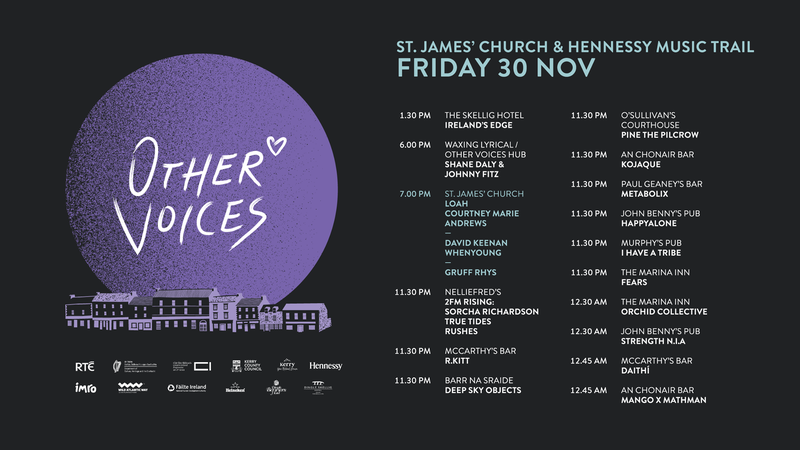 Other Voices returns to its spiritual home in Dingle Co. Kerry for another intimate weekend of music from some of Ireland’s and the world’s finest musicians between November 30th December 2nd, 2018. 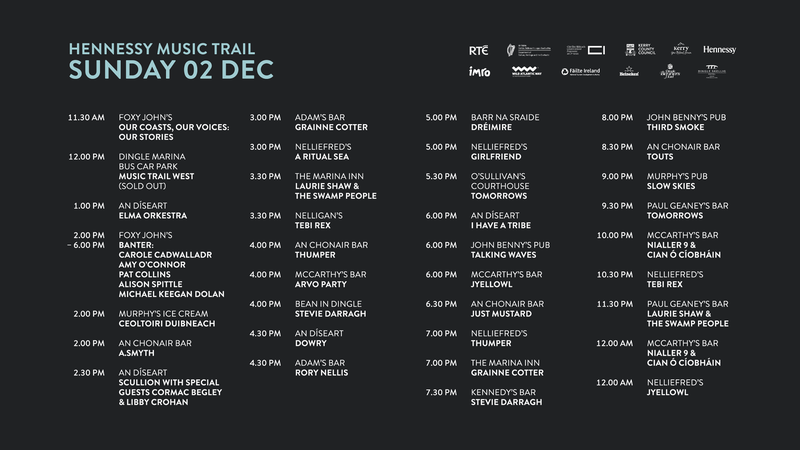 As well as the main activities in St James’ Church, Music Trail West returns as part of Other Voices Dingle 2018 on Sunday December 1st. Attendees will be treated to a day of musical discovery with some of the best up and coming Irish acts performing in breath-taking venues around the Dingle Peninsula. Other Voices TV series will air on RTÉ in early 2019, and digitally around the world. Tickets for the St. James’ Church TV recordings will only be available through competitions in local and national media, event partner outlets and through Other Voices social media. A day by day schedule of Church acts will be announced the week of the Festival. All ticket competitions will be pre-announced on www.othervoices.ie and Other Voices social media channels on Facebook, Twitter and Instagram. 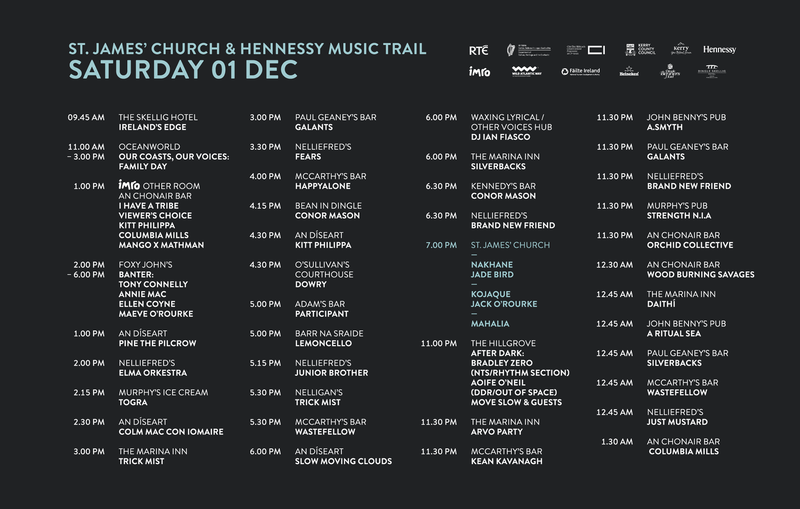 All the events from St. James’ Church will be live streamed on screens at venues across Dingle, so grab a scoop and enjoy every note from the comfort of your bar stool.